SSSHHH! This is confidential stuff, ya’ll! 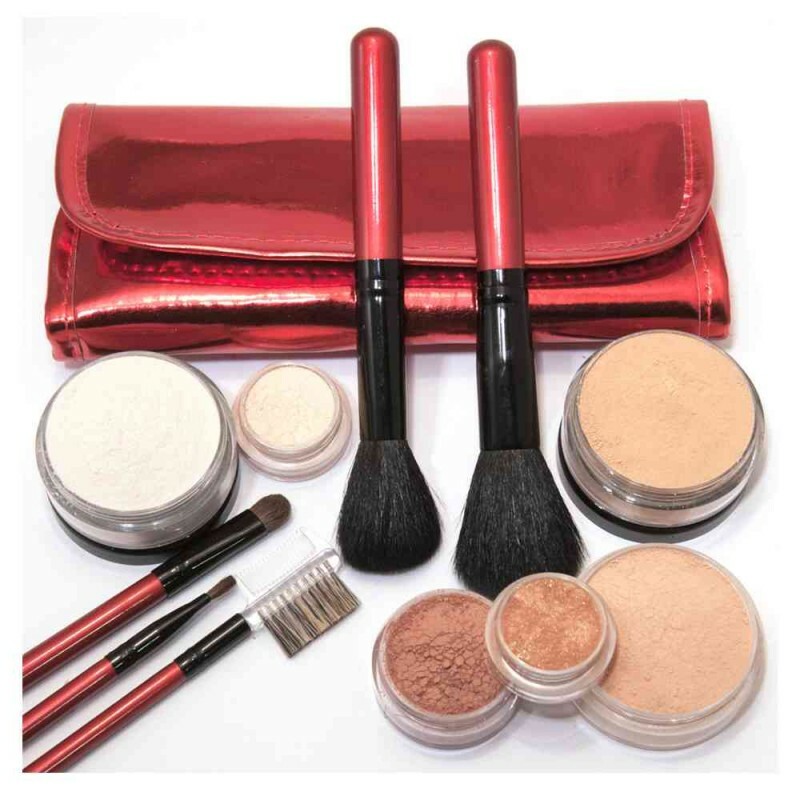 In today’s blog, “Secret’s Inside My Kit Part 1”, I’m going to give you a sneak peek at a few of my all time favorite products inside my makeup kit that I use on just about every client. Why is it Part 1? In Part 2, I’m going to give you an inside look into my own personal makeup and skin care kit that I use every day on myself. That’s some top secret stuff, ya’ll! If you promise you can keep a secret, we’ll peek on in! 1. Every San Antonio bride wants flawless skin! The Graftobian HD Glamour Crème FoundationPalettes deliver flawless skin every time! They form the cornerstone for my makeup kit! This is the traditional/crème makeup option in my kit. Why do my clients love them? Looks like a DREAM in photographs!! 2. Have a hot summer Texas wedding planned? I’ve got my Texas brides covered with Temptu Airbrush makeup! *Why do my clients love it? It’s transfer and water resistant. That means if you jump in a pool with the makeup on, I’ve got you covered! 3. Want your lip color to last all through your event? I have the perfect product for you! One of my favorite go to lip products is Tartiest Quick Dry Lip Paint. The colors “Exposed” and “Festival” are client favorites! My San Antonio brides can rest assured that they can eat, kiss, and even brush their teeth and their lip color will stay on! 4. Want that “glow from within” look? My brides love Enlight and Illuminating Veils by Danessa Myricks! My favorite shade is “Angel” which I apply to every one of my brides. 5. Want your eye shadow to stay put all day without cracking or smearing? I prime all of my bride’s lids with Mac Paint Pot in the shade “Painterly”. This product holds the shadow in place and resists color fading. 6. Have dry, chapped lips? I’m prepared with a quick lip scrub with Ice Mint Lemonade Lip Scrub by Philosophy. This product leaves your lips kissably soft! 7. I always start each makeup application with a good clean with a facial wipe. I then follow that with a thorough application of Embryoliesse Emulsion Hydra Mat Moisturizer. My clients love it because it moisturizes while supplying the skin with a matte application. No shine here! 8. My favorite brow products are the Anastasia Beverly Hills Brow Wiz and Brow Palette. 9. Want your false lashes to stay in place? I always use Eyelure Vegas Nay Lash Adhesive to ensure that your lashes stay in place! 10. My favorite makeup brush brand is Crown. Crown produces high quality brushes that last forever and are soft on your face. 11. Last but not least, you will always find tools that ensure hygiene and sanitation. I carry all necessary products for cleaning brushes between clients and disposable lip and mascara applicators. If you’ve been lucky enough to have Brianna at your wedding as my assistant, you know that she keeps my kit in tip top, sparkling clean condition! That’s about all the secrets that I can give away for now! I hope that you have learned a little bit more about the products that I use and maybe found one that you would like to try yourself! In my next blog, Part 2, we’ll peak inside my own personal makeup and skincare kit. Stay tuned for that one! Till next time, friends! Makeup Artist San Antonio on Social! We love doing hair and make up! Reach out to us today! Braid N'Hairpins Makeup & Hair. All Rights Reserved. Copyright 2019.